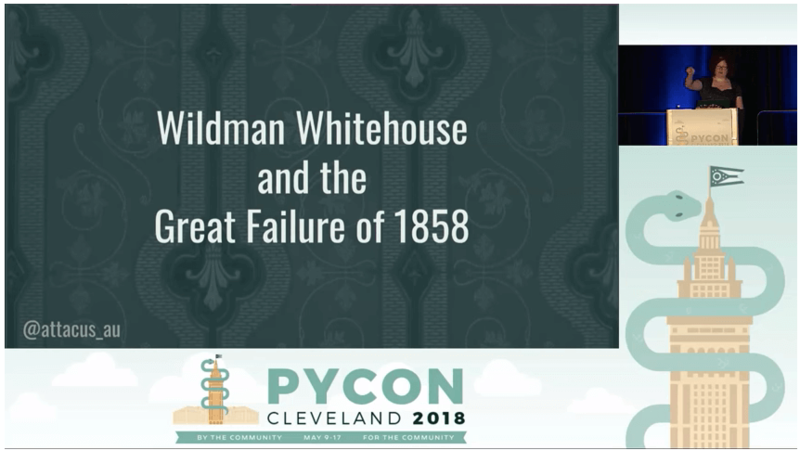 This is the third post in the 2018 edition of our annual PyCon Must-See Series, which highlights the talks our staff especially loved at PyCon. While there were many great talks, this is our team's shortlist. This entertaining 30-minute talk provides multiple examples of ways in which tech projects can go awry, and how to avoid the same mistakes in the future. I hope to practice the values Ryan mentions, and help my team to practice them as well. The advice from Ryan is helpful and relevant for anyone working on or managing a technology project or team.